When I had two boys of my own, though I was a little sad that I wouldn’t have anyone to whom I could give Anne of Green Gables, I consoled myself that I wouldn’t have to deal with any Disney princesses, either. Or dresses. Or sparkle shoes. Or French braids or makeup. As much as I obsess over design, I am an all-things-beauty troglodyte, I’m afraid. Imagine how surprised I am that, lately, I am being seduced by various shades of purple. Purple!!! 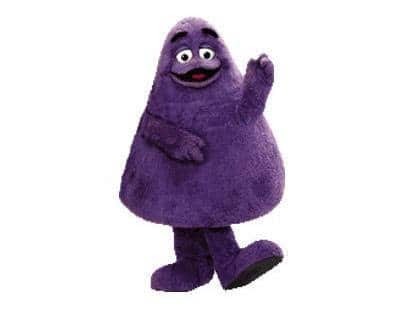 The same color that Barney and Grimace are! Ahhhhh, my ’80s childhood. But I digress. I love everything about Autumn. I was born in mid-October, so I consider myself “A Child of the Fall.” There is nothing I like better than to go skipping and leaping through an apple orchard like a deer (yeah, I look silly, but I don’t care). As a kid, I typically associated colors like reds, oranges, and harvest golds with my favorite season. Who wouldn’t? After turning 21, however, today’s color topic took center stage in my seasonal palette. Look at those luscious lovelies. No wonder deep purples and shades of red look so good together. 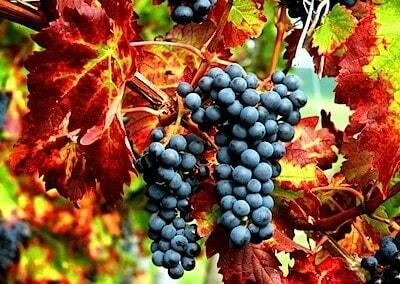 The grape harvest for those complex, deep red wines happens exactly when the leaves are turning. Not to mention, most people reach for a red when it’s time to light the hearth fires. As you’re probably aware, aubergine is the French word for “eggplant.” Somehow, though, it sounds so much more sensual than our English rendition. Shocker. Anyway, its first recorded use to describe a color was in 1915 in Maerz and Paul’s A Dictionary of Color. It is a warm, deep purple with a red undertone that looks like, well, an eggplant’s skin. It’s that red undertone that looks so amazing by firelight and gives a glow to your skin when you’re in a room. Choose this deep shade for a den or sitting room, a dining room, or a powder room — rooms you use on a limited basis or for more intimate socializing — and you’ll never get sick of it. Moody and divine for an old, old house. A lovely dressing room, perhaps? Add lots of white, and lots of light! I don’t love the chrome on the chairs, actually but the colors are amazing. I bet that sublime work of art inspired the room’s palette. Aubergine in a library? Yes, please!!! There’s our aubergine and burnt orange together. Works beautifully. Vintage brown furniture looks so rich with this color. Aubergine loves teal/peacock/turquoise, whatever you want to call it. Layer the values (shades) of aubergine for depth. For the Brooklyn industrial country loft crowd. From the old Domino Magazine. This must have been pinned a billion times. Aubergine loves white and heavy linen. Wow. With a freestanding pewter tub and rustic beams. Handsome husband, would you draw me a bath? Wives — my good friend, the very talented Kelly Rogers, has found that men are much more open to suggestions of purple when that particular word is avoided in favor of aubergine (or plum, or mulberry, or wine — even if most women would consider “wine” more of a red). Apparently they share my earlier tomboy prejudice. Learn well, if you want to propose a purple room. With all this inspiration, I’m dying to design an aubergine room of my own! So I did. 🙂 I know that “lady lair” has become the latest trendy room-for-the-sexes term, but somehow it feels a little cougar-ish for my taste. So I conjured up a reading/writing room for a single lady of indiscriminate age. (Basically, I pictured myself in 10 years had I become an academic.) This lady’s tastes run to English and French literature of the post-War period in the last century, though she strays to Outlander when she feels like something a little more earthy. She favors cat glasses and pleated, knee-length camel tweed skirts. This is where she (with or without a gentleman) retreats of an evening in the fall. Decanted wine in hand, of course. For my upholstered goods, I used Charles Stewart Company, a line that I carry, which is handmade in Hickory, North Carolina and very reasonably priced for exceptional quality. (I used Charles Stewart for the sofas and one of the chairs in my library). I do love brown furniture, and brown furniture LOVES aubergine. Something similar to the vintage desk could be found in any local Craigslist or auction (if you missed my how-tos on auctions, read here and here). 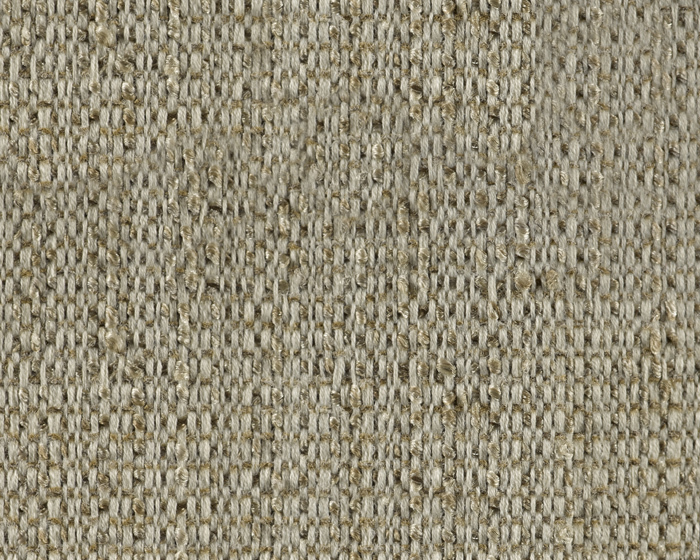 To-the-trade prices on fabrics will be better than those listed through consumer resources. What do you think? Have you been seduced?